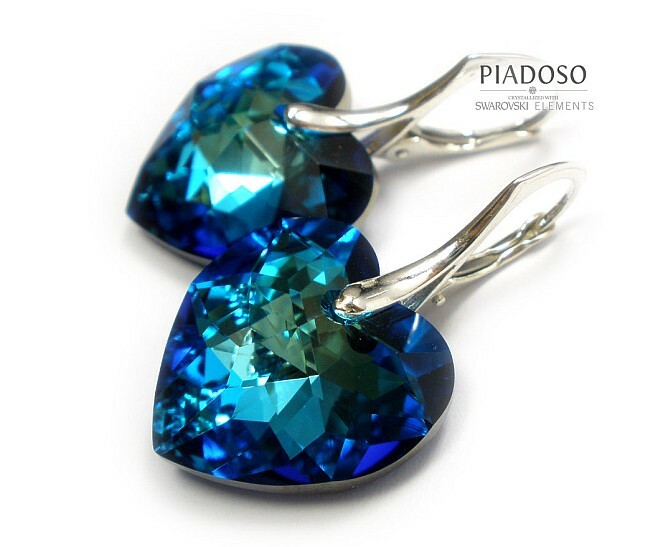 Beautiful silver Earrings with Swarovski crystals: BLUE HEART ENHANCED. These genuine Austrian crystals are made in famous Swarovski Elements collection world-known for best sparkling pearls and crystals. 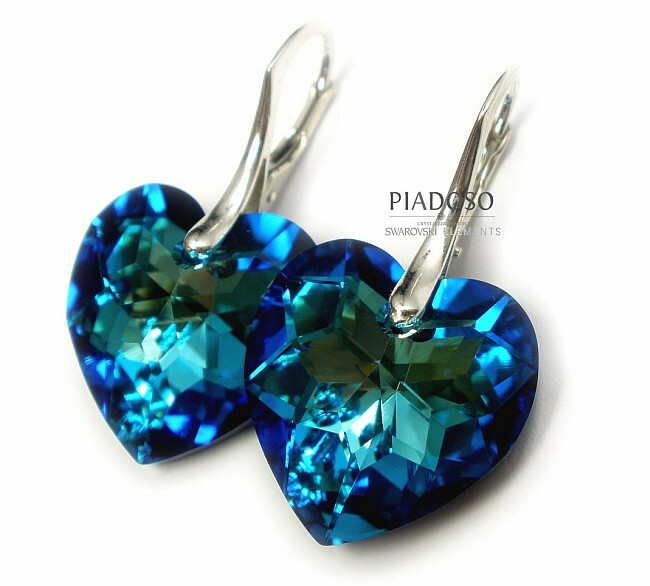 Original large crystal HEARTS in a beautiful BERMUDA BLUE opalescent color. These crystals have even more shining due to enhanced new cut. Outstanding jewellery for every occasion.